Beer & Books: Did You Know That Doolally Also Has A Secondhand Bookstore? Love both beer and books? Take a trip to Doolally and get the best book deals from their mobile bookstore. 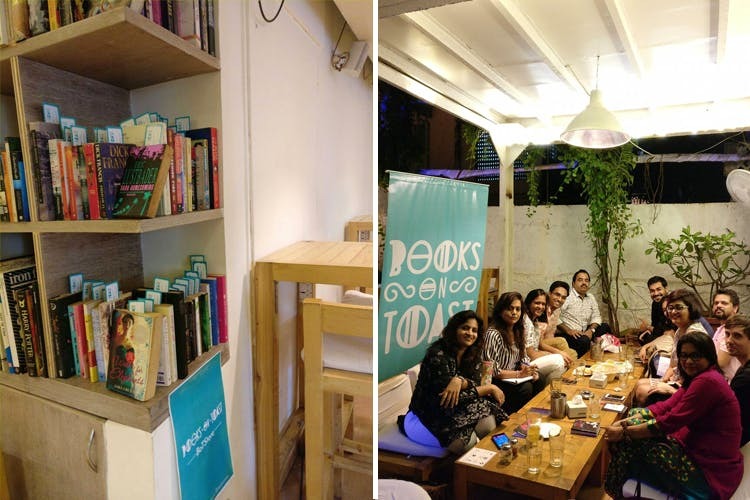 Books On Toast, an active community of book lovers and readers have set up second bookstore at every Doolally’s branch in the city. We trust Books On Toast for their book reccos, based on what we see off their hilarious podcasts and other events organised. These books come personally recommended, and are available for only INR 50 and INR 100 – the paperbacks are for INR 50 and hard cover for INR 100. These proceeds then go to the Dharavi Art Room. Combine your favourite activities – drinking and reading – beautifully here. They are available at the Andheri outlet, until stocks last. P.S. They come with a cute bookmark slipped inside the books. The next time you head to Doolally, get yourself a well-recommended from the BoTstore and settle in comfortably into a seat there. You’ve got hours to spend. Follow Books On Toast on Facebook here.